Give your young sailors a head start against the competition with our pre EuroMed 4.7 and Radial Clinic they will get familiar with the venue, racing conditions and our talented coaching staff. We can help them with regatta preparation, registration, strategy and racing tactics. Sailors are welcome to join us for both the pre regatta 4.7 and Radial Clinic and the EuroMed regatta Coaching Tour or if you prefer to only do the regatta or the clinic we can assist in making arrangements accordingly. Arrive into Malta Airports to the South-Wast of the venue and be met by one of SailCoach’s friendly staff. 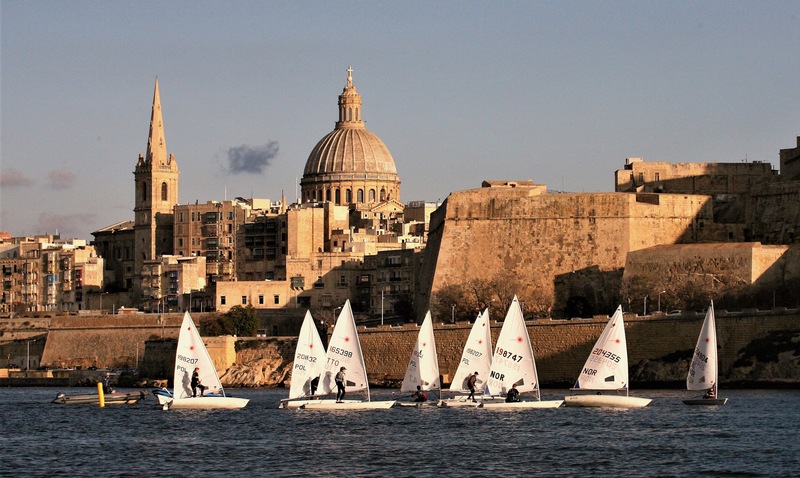 They will take you to the Mellieha Bay, the venue for the 4.7 and Radial Clinic and the EuroMed regatta. The 4.7 and Radial Clinic daily schedule will start each morning with a group briefing at 10:00hrs in the Mellieha Bay Hotel and finishing at 17:00hrs. Racing begins in the EuroMed 4.7 and Radial Regatta in what promises to be a competitive event. SailCoach’s experienced coaching staff will give you all the support you need on and off the water to help you reach your full potential. SailCoach will drop you off at Malta Airport for your journey home after a top quality training clinic or stay on with us and sail in the New Year Highfliers Clinic.